A blank slate that can only, well, get more blank? Vodka, for better or worse, tends to get a bad rap in the industry. 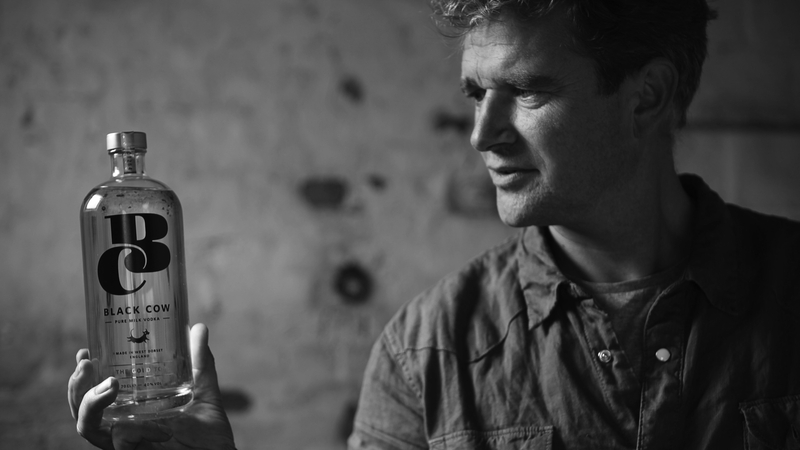 As it’s at its best when it doesn’t taste like anything, blending into the rest of the cocktail as if it isn’t there, it is not particularly seen as a very interesting or complex spirit, and is nearly a base or unfinished product itself for a more “complete” spirit like Gin. 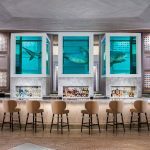 That said, as the craft cocktail and spirits world has grown exponentially, Vodka has not, wholly, been left behind. Indeed, it’s the spirit of focus for many industry innovators, one of which goes by the name of Black Cow. 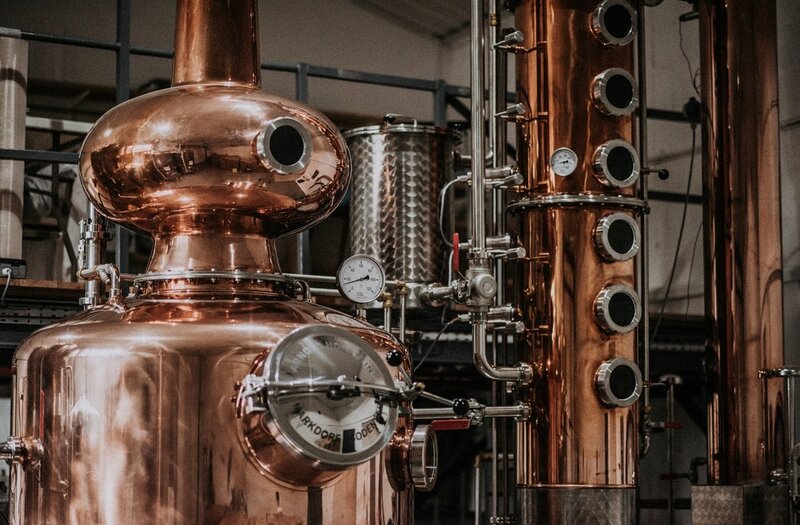 And, as the name may suggest, the innovation of the distillery lies in the use of cow’s milk for its basis, making it the first milk Vodka ever created. Behind Black Cow Vodka, which made its debut in 2012, are two innovative gentlemen and co-founders: Jason Barber and Paul “Archie” Archard. Jason Barber is the inventor of the cow’s milk-based spirit, doubling as a farmer with his own dairy operation as its sixth-generation owner. The Barber family is known as the world’s oldest surviving family of cheddar makers, with over 200 years behind the family’s practice and experience. To this day, he still maintains and runs the production portion of Black Cow Vodka. Paul Archard has a background in the arts, working in a variety of creative roles, from production designer and commercial director, with some time in the mix spent running his own production company. 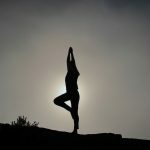 It is this creative spirit, experience, and energy that goes into the unique branding and aesthetic of Black Cow to distinguish it and its mission in the ever-saturating spirits market. 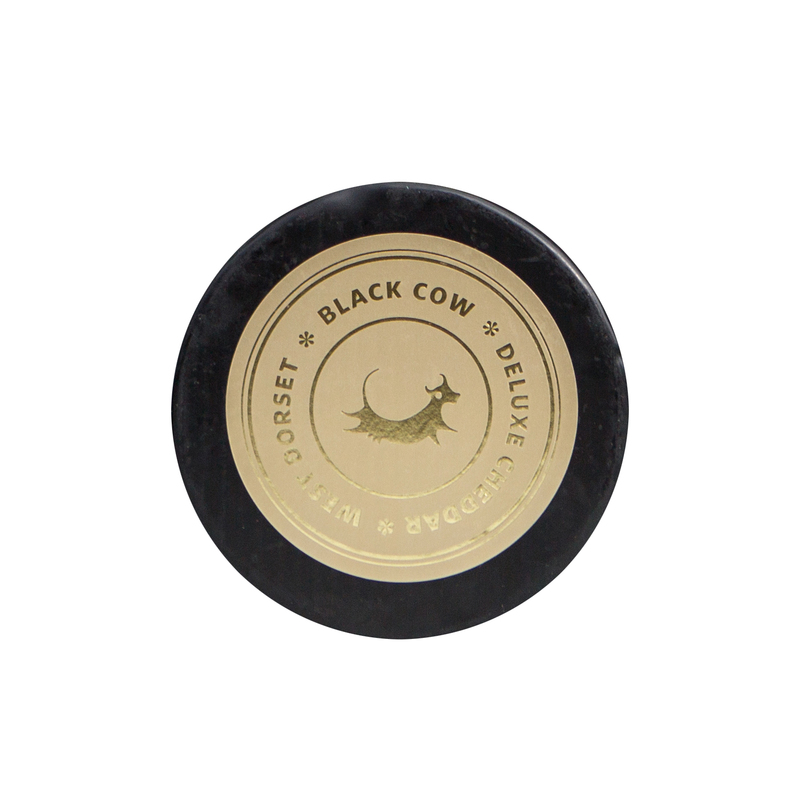 The basis of Black Cow Vodka comes from the pure milk of just over 250 grass-fed cows in West Dorset, England. After the whole milk product has been used to make cheese, the curds remain while most of the whey is removed and discarded as a byproduct (or used for things like protein powders or pig feed). 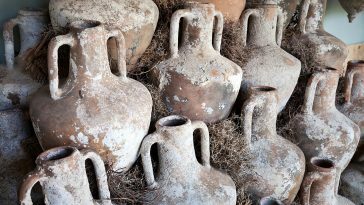 However, Mr. Barber, with his intimate knowledge of the dairy industry and knack for thinking out of the box, saw this as a magnificent and untapped resource for the spirits industry and began finding new ways to repurpose the surplus for this new cause. Whey from cow’s milk contains a lot of natural sugars, which lend themselves well to the fermentation process. The whey is combined with a special yeast and eventually ferments into a sort of frothy, soft, and milk-heavy beer. Once the beer has finished its fermentation stage, it is distilled and then filtered using a proprietary filtration method known to the Black Cow distillery alone. The finished Vodka is then bottled with nothing removed, added to it, or mixed with it. For this finished product, it takes around 20 liters of milk to yield the whey that goes into it. Black Cow Vodka is naturally mineral-free, which gives it a distinct, velvety softness that makes it stand far away from the usual Vodka pack. While neither its flavor nor color do too much to hint at its pure milk origins—in a good way—it features pleasantly sweet vanilla notes with just a touch of cinnamon and finishes through a clean warmth. Among many other awards, Black Cow Vodka took home the 2015 Gold Medal for the San Francisco World Spirits Competition. Production hit around 120,000 bottles in 2016 and trends toward doubling production annually. 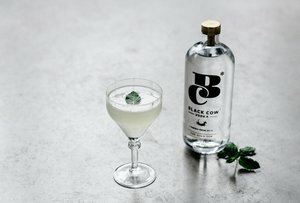 As Black Cow prides itself (and delivers) on the purity and smoothness of its Vodka, it’s best to use it in cocktails with more subtle flavors and lighter accents that may let the Vodka still shine through—much unlike a traditional Vodka cocktail. Of course, it is always best to try it on its own; truly unique, it can’t be a missed opportunity. 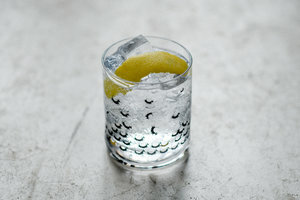 A very minimalist, clean, and straightforward cocktail by Black Cow’s Creative Director, Helen Archard. It is bright with citrus and the soda water with a lack of added sugar helps to carry the true taste of Black Cow through the entire cocktail. Muddle the cardamom pods in the bottom of a rocks glass with a little of the steeping Vodka. Add the Black Cow Vodka and top with soda water. Twist the lemon zest over the drink to the release the oils into the glass, and run the zest around the rim before adding to the glass as a garnish. 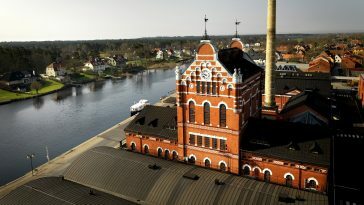 Initially, Mr. Barber had experimented with apples and potatoes as the basis for his Vodka. But, evidenced by his Black Cow label, neither had really worked out. That said, it’s best to add in our apple after the Vodka is made, which is done in this cocktail; it introduces a bit of sugar in floral cordial form, but balances it out with an interesting and uncommon addition of apple cider vinegar to the mix. Combine all ingredients in a shaker with cubed ice. Double strain into a Nick and Nora glass. Garnish with floating mint leaf. 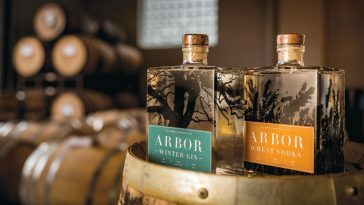 From Grains to Glass | Ann Arbor Distilling Co.